Bright ruby black color. Fruity aromas and flavors of ripe purple fruits, savory herbs, vanilla bean, and violet with a velvety, crisp, fruity medium body and a warming, appealing, medium-length finish revealing notes of black peppercorns and grenadine with silky tannins and moderate oak flavor. A voluptuous merlot that entices with silky tannins and explosive fruit. 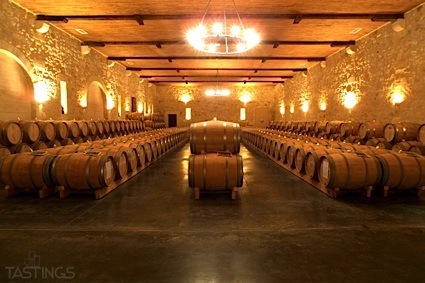 Bottom Line: A voluptuous merlot that entices with silky tannins and explosive fruit. 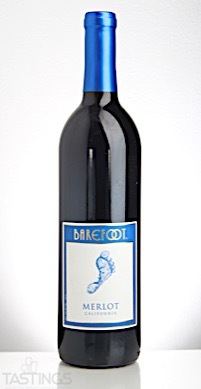 Barefoot NV Merlot, California rating was calculated by tastings.com to be 87 points out of 100 on 1/16/2018. Please note that MSRP may have changed since the date of our review.